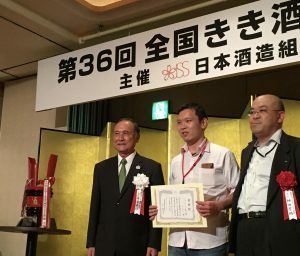 The 36th Japan Sake Tasting Competition was held on 28th Oct. sponsored by Japan Sake And Shochu Makers Association at Sheraton Miyako Hotel Tokyo. 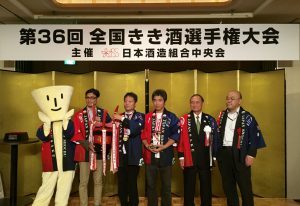 This year, the International Category is newly opened. 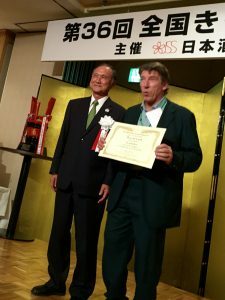 This will be held in English for non-Japanese speaking sake lovers! 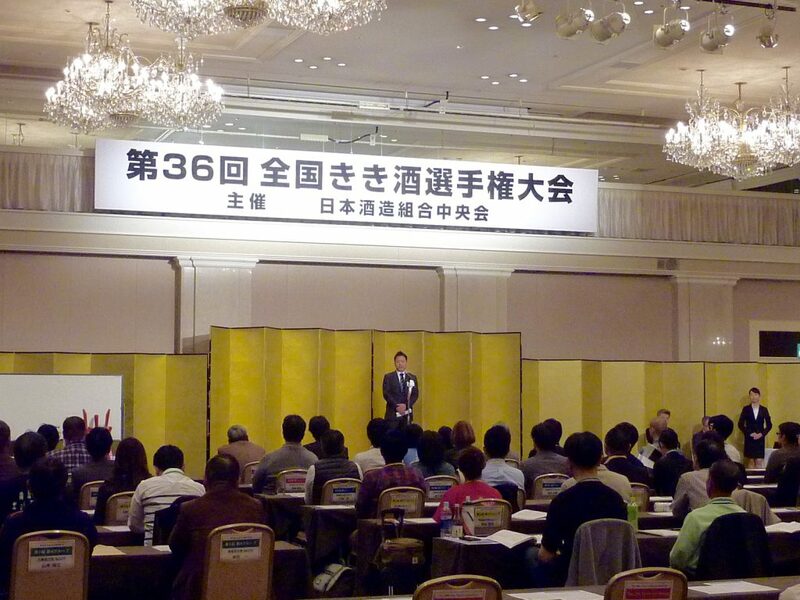 The opening ceremony began with Mr. Shishida’s speech. 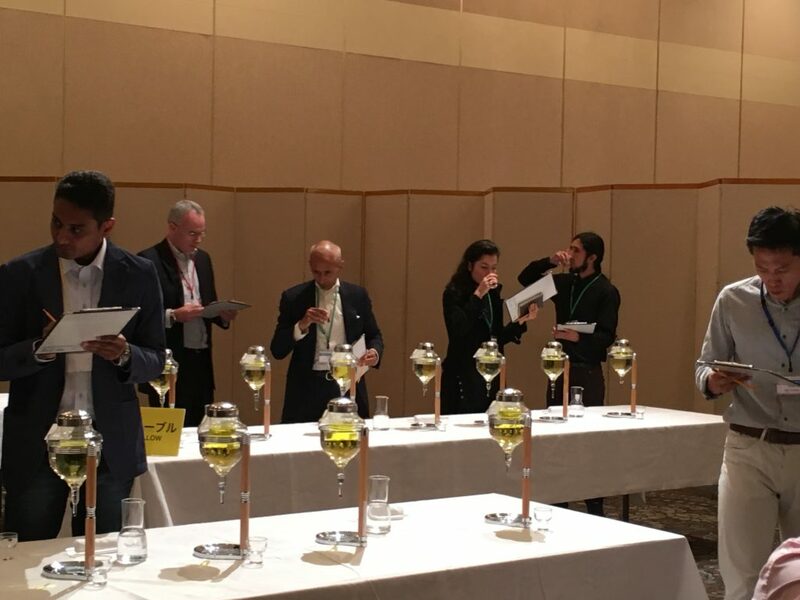 After an written examination only in Japanese, 5 groups challenge 15 mins sake tasting. 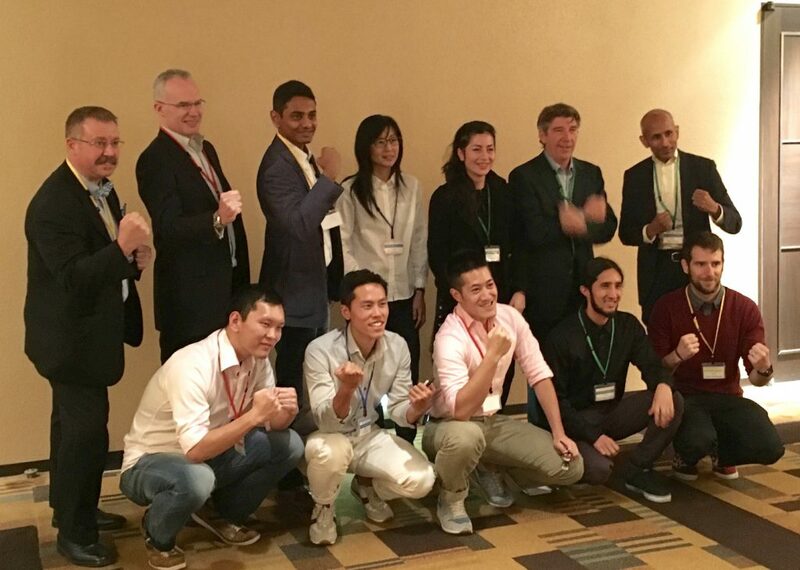 There were 12 participants from USA, UK, Taiwan, Colombia, India and France in the International Category. A rule of the competition is the ranking style match. First, tasting 7 different sakes and making own ranking in 7mins. Second, replace the sakes randomly, then tasting sakes and make own ranking again in 7mins. 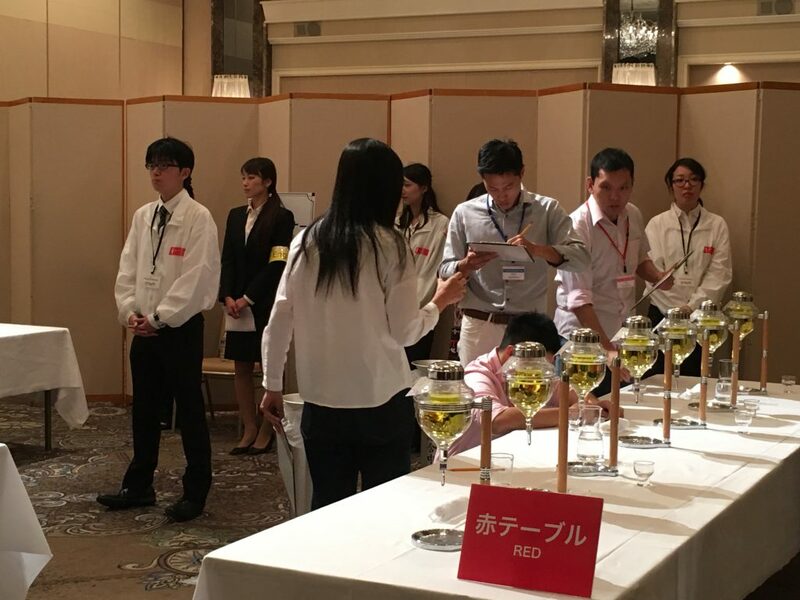 The referee will check how many sakes are placed in the same rank in the 1st and 2nd tasting. The participants had a serious look on their face. After a serious challenge and a seminar about sake tasting, we had a gorgeous greeting party with delicious Japanese, Chinese and Western cuisine and a lot of sakes. Certificate and prize ware awarder to high scorers of each category. The 1st champion of the 1st international category is Mr.Lin Weiyao from Taiwan. He is a traveller to Japan from Taiwan! His friend for over 12 years, Mr. Robert Chen told him about this competition as one of memories of the travel. 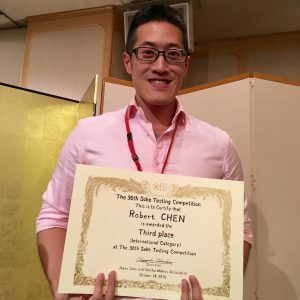 Mr. David Cheek from USA took 2nd place and Mr. Robert from USA, Taiwan took 3rd place. ↑ Mr. David Cheek from U.S.A. 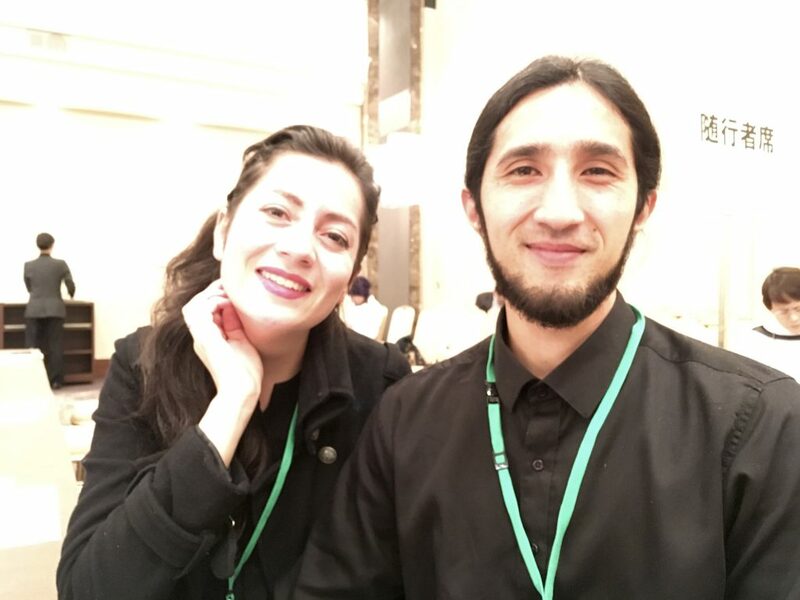 I was very happy to see beautiful smile of Ms. Linda Ortega and Mr. Wkiecnkyeid Dokon from Colombia. They has just moved to Japan one month before! Mr. Wkiecnkyeid Dokon is an artist and they have a strong interest in Japanese culture including Japanese Sake. 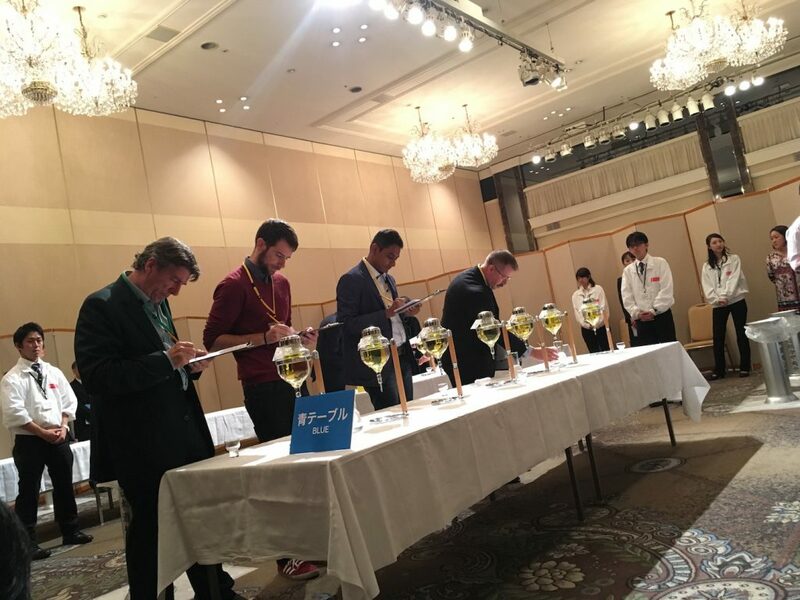 I’m really looking forward to that this competition will gather more participants and will be regarded as a base for promoting sake to the world. Visiting GOKYO, Sakai brewery in Iwakuni, Yamaguchi pref.